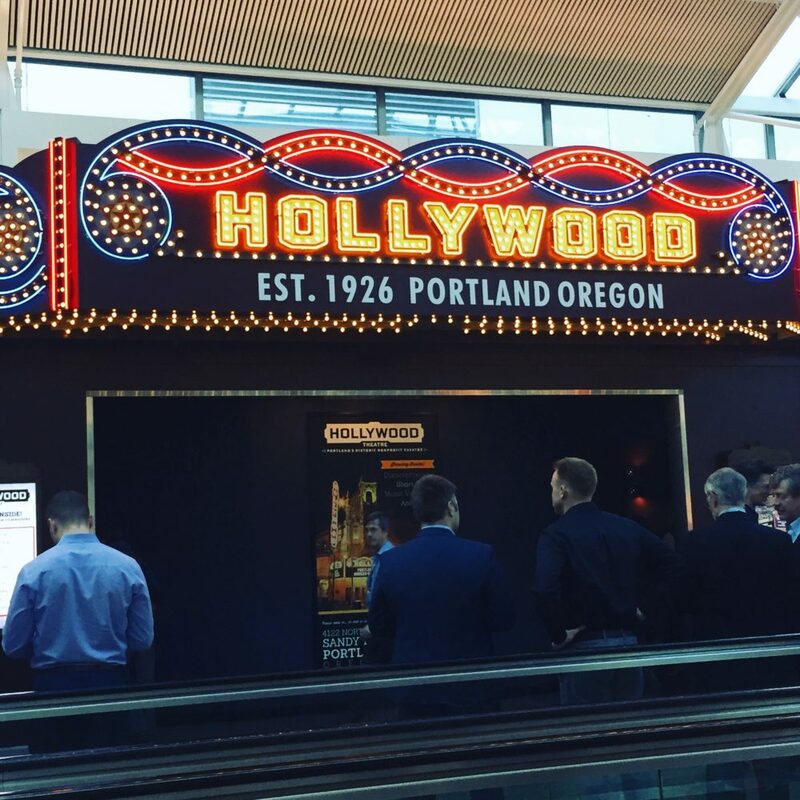 It took more than three years to make it happen, but on Thursday the marquee lights at the Hollywood movie theater inside Portland International Airport were switched on and a series of short films by Oregon artists began to play. The mini-cinema has less than 20 seats but, with standing space, has room for more than 40 people to enjoy the hour-long selection of films that will be shown round-the-clock and refreshed quarterly. In October, we learned that Portland, Oregon’s food truck craze had finally made it to the airport, with two food carts making their debut and the promise of more to come. 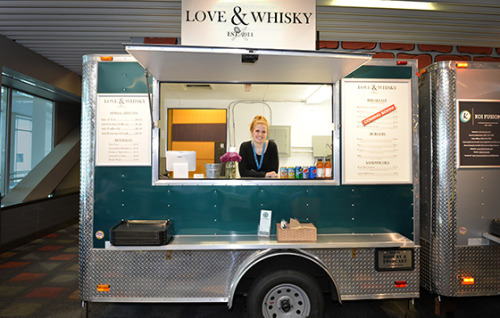 Promises have been kept and a third food cart operator, Love & Whisky, has opened in the pre-security shopping and dining area known as the Oregon Market. 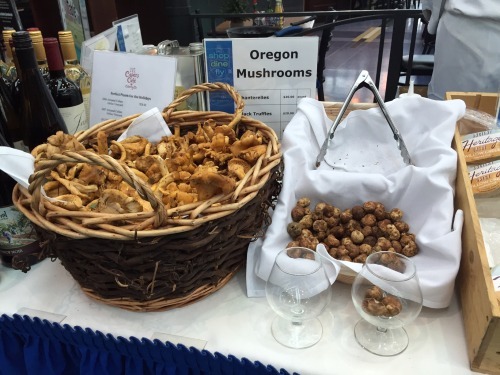 The food cart program at Portland International Airport is designed to feature a rotating selection, so Love & Whisky will be at PDX through May 2015. The Stuck at the Airport team is planning to check out the PDX food carts next week when we arrive in town for a holiday shopping adventure that takes advantage of local shops that have branches at the airport, the airport’s street-pricing policy and the fact that there’s no sales tax in Oregon. While in town, we’re also looking forward to shopping at the art and craft-filled independently-owned stores participating in Portland’s post-Thanksgiving Little Boxes shopping event and prize raffle that takes place in the city’s super-hip neighborhoods. 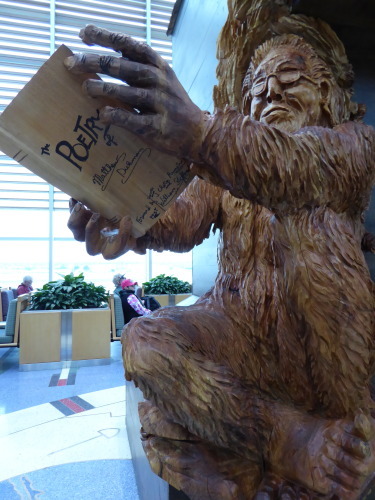 If you’ve traveled through Albany International Airport sometime over the past few years, then the life-size, foamcore car and trailer exhibit now on Concourse D at Portland International Airport may look familiar.